What do you sacrifice to get an personal signed 9to5 musical album by Dolly Parton? About 3 years ago I made this little music video for a contest at Dolly’s Official site Dollypartonmusic.net . We where four people who won a personal signed album by Dolly. I think it was two in Europe and two in USA. They’re very rare. 1. 8/28/11 ; My first meeting with Dolly in Gothenburg before the show and a great hug and photo with her. 3. The personal signed autograph by Dolly. Visit my twitter account and y’all will find it there. What do you sacrifice to make your dreams come true? YAAY!! 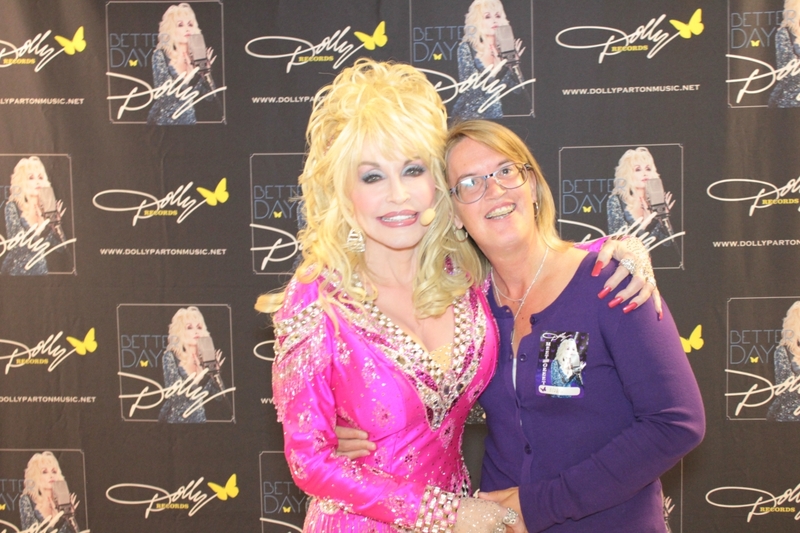 Today is 1 Year since I met Dolly for the first time, it was during her world tour of Better Day in Gothenburg 8/28/11 , A day I never forget . I also met Dolly’s hair designer Cheryl Riddle after the show. It was fun. This is an update from Gary and Larry Lane who made the documentary Hollywood to Dollywood. UPDATE!!! Theatrical, TV, and our Distribution Deal, UPDATE!!! 3- Hollywood to Dollywood Theatrical Release dates!! Just in time for Moive Award consideration!!! NYC and LA!!!! We will screen twice daily at Quad Cinemas in New York on 14th Street in Manhattan Aug. 31 through Sept. 6 and twice daily at Laemmle’s NoHo 7 in Los Angeles on Lankershim Boulevard in North Hollywood Sept. 7 through 13.